The WORCESTER PARK Blog :: Bank Holiday? 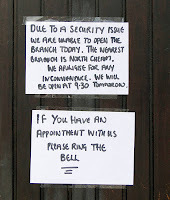 Barclays Bank ‘s Central Road Branch is closed today due to a ‘Security Issue’. 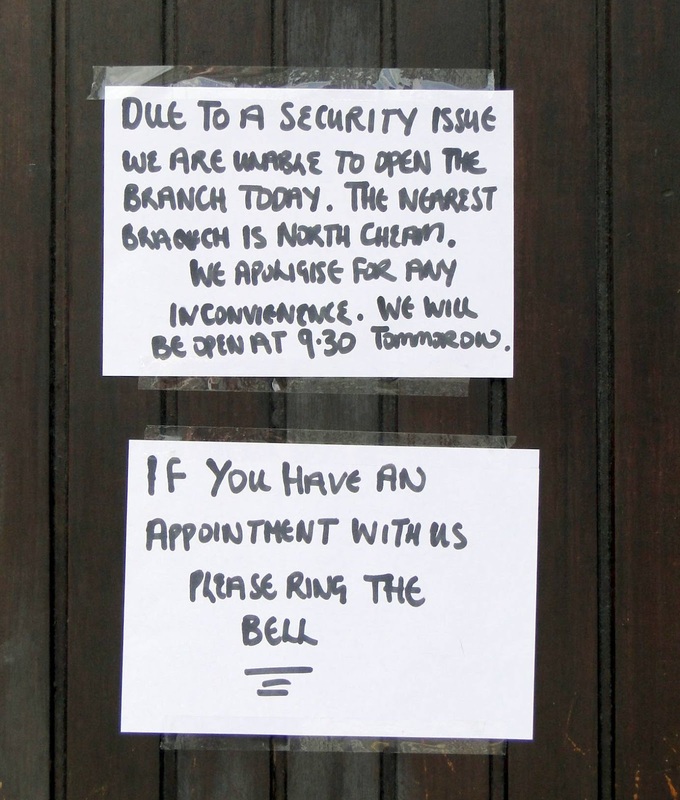 There is hand written note on their locked front door directing people up to their North Cheam Branch. 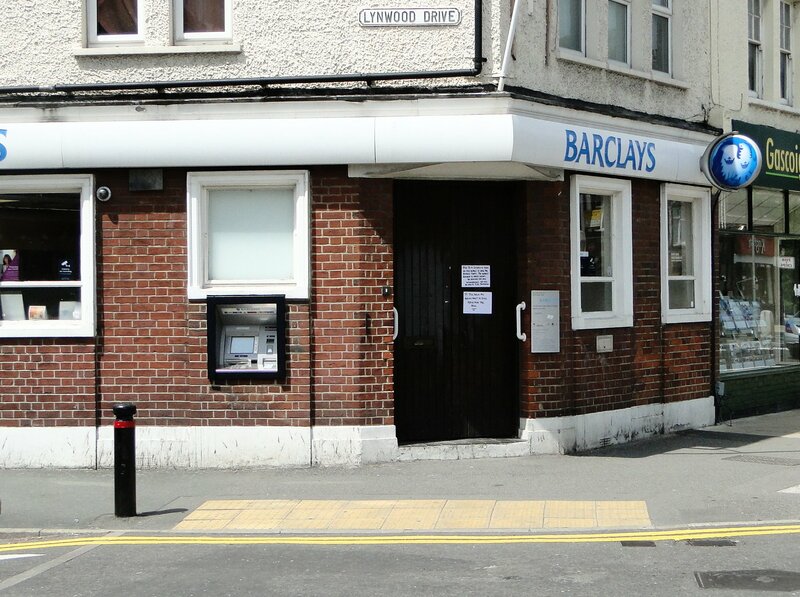 So if you need to do any banking today at Barclays in Worcester Park, best leave it ’til tomorrow, when they will be opening at 9:30.